Michael Joyce, 75, whose family trust owns the Hargrave company, will move Hargrave Custom Yachts into a standalone corporation in 2019. 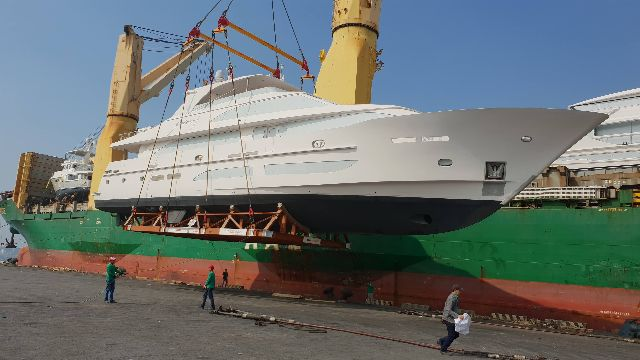 Seeking capital to grow the company, Joyce seeks a financial partner to supply secured lines of credit for a half-interest in Hargrave Custom Yachts. Joyce plans to retire upon teaming with a new financial partner, while his nephew, Mike DiCondina, 45, will retain a half-interest in the company and remain president. 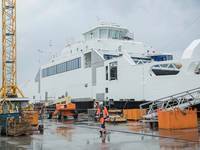 According to Joyce, Hargrave has nine yachts under construction in two facilities, the vessels valued at over $137 million. There are five projects under contract in Turkey and four in Taiwan, he said. Joyce’s ideal partner is someone funded who believes yachting should be fun - and who can sensibly integrate the business into their lifestyle. The Hargrave company was founded in Palm Beach, Fla. in 1957 by yacht designer Jack Hargrave, whose designs shaped iconic American brands like Burger and Hatteras. Upon Jack Hargrave’s death in 1996, Michael Joyce acquired all design and engineering assets of the firm with rights to the Hargrave name. Over the past 20 years, Joyce reports Hargrave sold 100 yachts exceeding $400 million, with 49 projects for repeat clients. Joyce has never had a brick and mortar manufacturing facility. 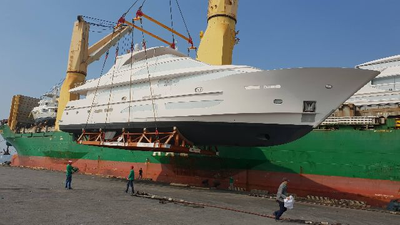 Three shipyards have built Hargrave’s vessels, including the Kha Shing yard in Taiwan, which recently completed the newest Hargrave model, a 120-foot yacht for Galati.